Renowned Hawai‘i Chef Mark Ellman is no stranger to creating great food and successful restaurants. 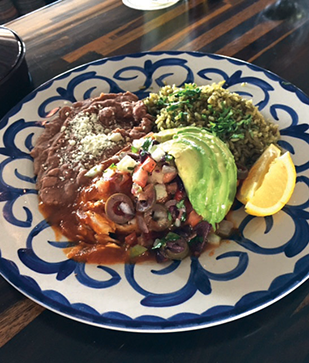 Chef Mark, wife Judy, and his family’s newest creation is Frida’s Mexican Beach House, a Latin-influenced seafood restaurant inspired by famed Mexican painter Frida Kahlo. Focusing on the coastal cuisine from Mexico, Peru and Argentina, the food is fresh, delicious, and the views are incredible. Mark’s wife Judy designed the unique oceanfront space to resemble what Frida Kahlo’s beach home on Maui might have looked like. Situated beachfront, next to sister restaurants Mala and Honu.